- I mention Blueseed as a place to sell the concrete seasteads to, as an upgrade to members who've outgrown their Blueseed lodgings and are looking for a seastead-upgrade. - This post was a mere 13 days before Terran's sig-quote. This means that Terran's sig quote is wrong. Just as I've always maintained. I said I intend to move to a seastead within the next 5 years. The only reason I mentioned Blueseed and 2014 in Terran's sig quote was not to give a date of my intended moving, but to defend against Terran's charge of being a hypocrite right now because I'm not already living on a seastead. My challenge was this--how can I be a hypocrite now and today, when the very first seastead doesn't even launch until 2014, that being namely Blueseed. Maybe you could support a charge of hypocrisy after Blueseed has launched in 2014, but right now you cannot. Naturally, since his purpose is trolling, he has ignored this reasonable and truthful explanation and continued with his trolling. Oh well. Within the libertarian / ancap movement, it's been dawning on increasingly more people that the attempt to achieve change by both political and educational means is and has failed over the last 40 years. Instead we're looking seriously at the enclave method of change, which involves setting up your own jurisdiction outside existing ones. Until recently people were focused on buying islands, or some region in a poor country, like the recent attempt to make an autonomous region in Honduras that was shot down by the Honduran Supreme Court after being passed into law by the legislature (nice try, guys!). Probably most people outside anarcho-capitalist / libertarian circles don't even know of that most recent attempt to create an independent enclave. I wouldn't have moved to that Honduran one in any case, not immediately anyway, as they didn't have true independence. Couple serious caveats there. No, what I'm planning is a seastead. Floating autonomous regions in international waters built around ocean-based economic production. We'd need to do something like either floating fish farms, floating biodiesel production, seaweed production, or even massive wind-farms--but that's quite capital intensive even comparatively. 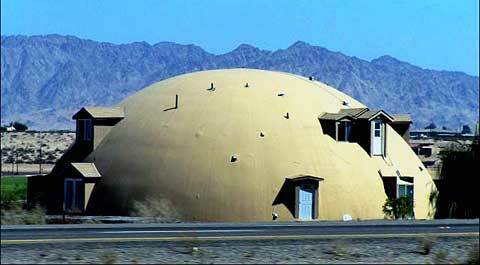 I've been designing a 50-foot diameter floating concrete dome house based on the Monolithic-Dome house design, and plan to begin producing these in the next few years. Those are half-spheres, but a floating dome house would be a full sphere, giving it a concrete-hull bottom, which is fantastic as a hull. Lookup the Troll A platform for an example of concrete as a long-term water-dwelling structure. 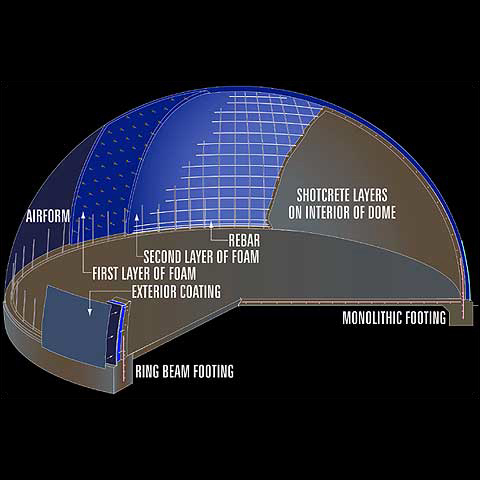 I'm going to modify this design with a central support column from floor to ceiling for added structural support, since that's the major stress of the dome design, vertical squashing pressure. Shouldn't detract from their architectural beauty. Perhaps few know also that the world's first commercial seastead is launching early next year, known as Blueseed. 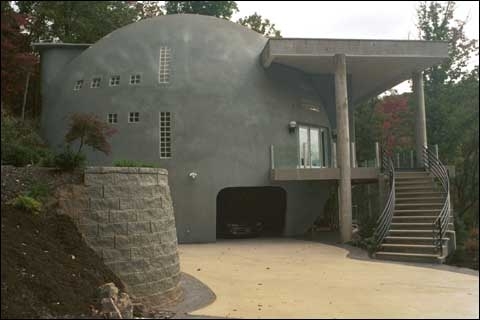 It could be that some people working on the Blueseed ship will want to move to posher surroundings, and maybe I can sell dome-homes to them. I've had many people interested already upon hearing about the concept. 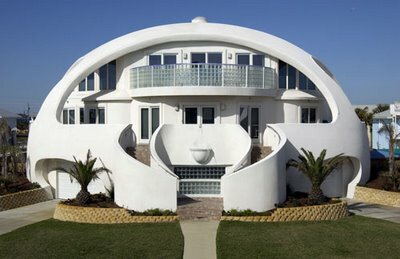 Great thing about a dome home, you don't pay for any land costs. It's pure materials and construction. 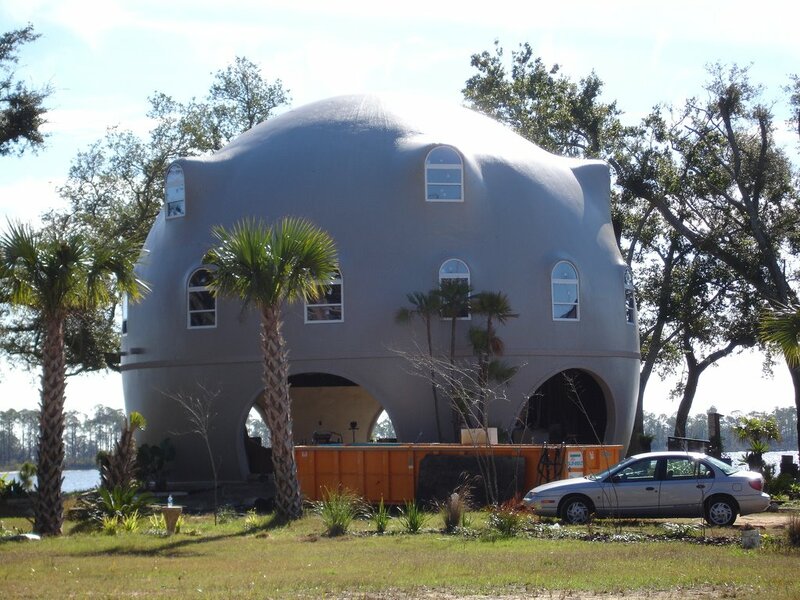 So, a 5,000 sf floating dome house would cost you likely less than $100k. Then just anchor these babies together above a seamount and you're good to go. They may not even need floating break-waters.